Part No. 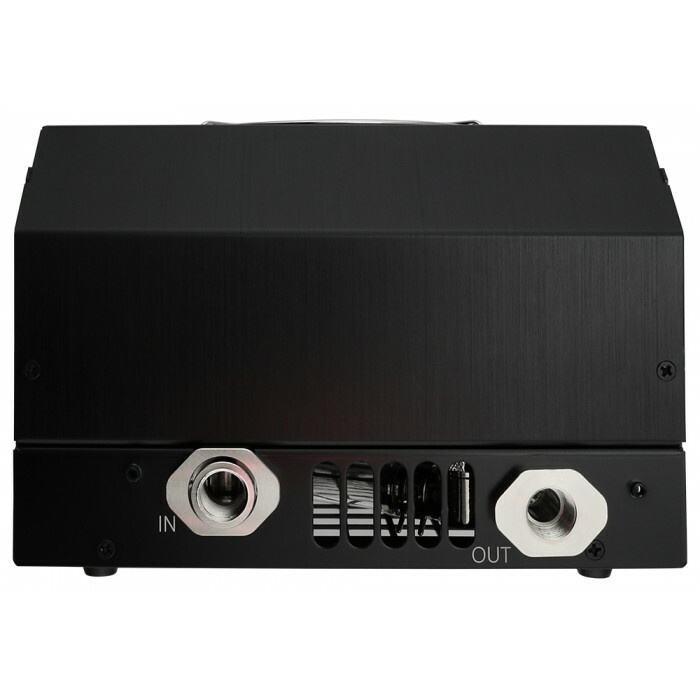 ALX-2000-P400 In Stock Fedex orders placed now will ship on April 22nd. Koolance's ALX series are powerful liquid cooling systems with expandable thermal capacities and software logging. 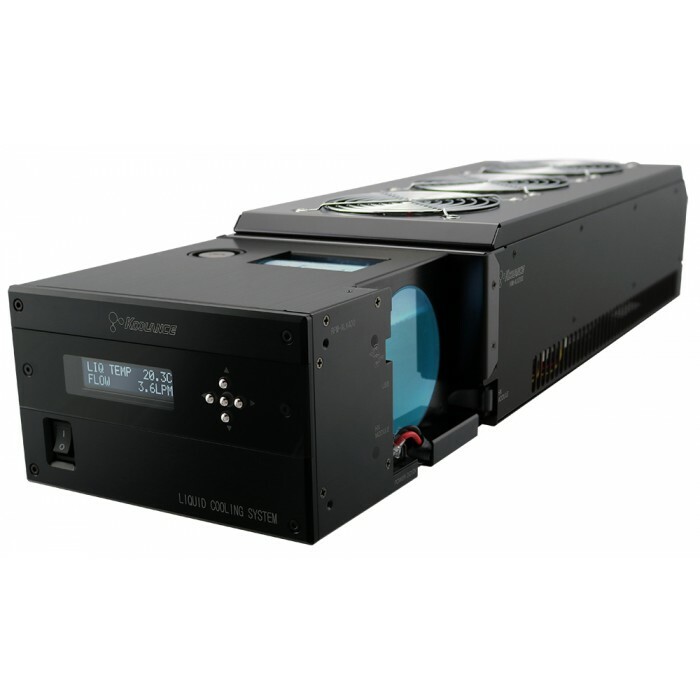 ALX-2000-P400 provides approximately 2000W of cooling using a triple fan radiator. This version includes the RPM-ALX400 and HXM-ALX2000 modules. These are quickly combined during installation, and individually upgradeable if requirements later change. The front "RPM" contains the pump, reservoir, electronics, and sensors. The rear "HXM" houses the heat exchanger, fans, and flow meter. 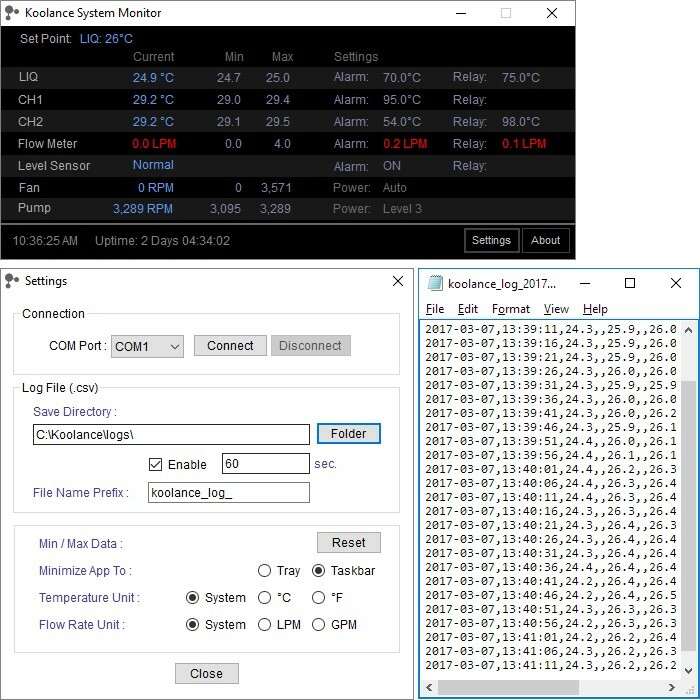 A USB port is integrated for viewing and logging of temperature and sensor data using the Koolance System Monitor application. Rev.2.0 ALX systems add software control options for temperature set point, alarm, trigger relay, pump speed, and fan speed. NOTE: Requires 12VDC input power. Koolance offers a separate power supply for AC wall outlet sources. Inlet/outlet fitting threads on rear of the cooling system are NPT 1/4-inch.